“There are no facts, only interpretations.” Friedrich Nietzsche. I don’t know if Nietzsche thought this through before he said this. If he had, perhaps he would have noticed the contradiction. Let’s take a quick look at the first part of the statement. “…There are no facts…” That statement seems to be asserting a fact. So if it is a fact that there are no facts, then this statement is a self-refuting one. People loved Nietzsche. Godless nihilism appeals to enemies of God. God is truth. There is no darkness in Him. I know that there are facts. Pretending like there is no God, and lying to yourself are not the hallmarks of a stable worldview. 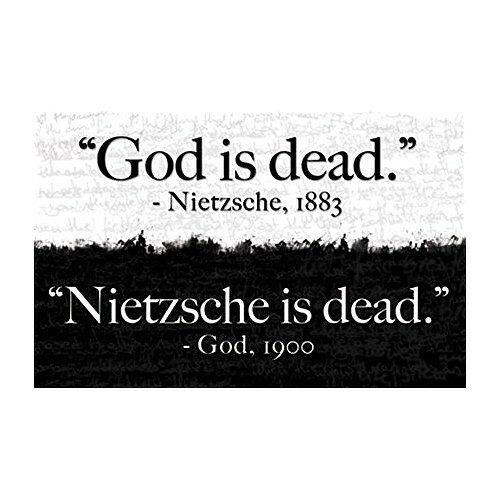 Nietzsche is also famous for coining the term, “God is dead.” Well, the fact is that God is not dead, and Nietzsche is most certainly dead.